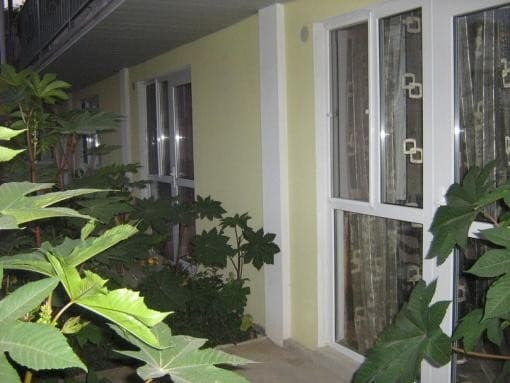 Private mini-hotel "Mint" is located in a paradise corner of the southern coast of Crimea in the city of Sudak. 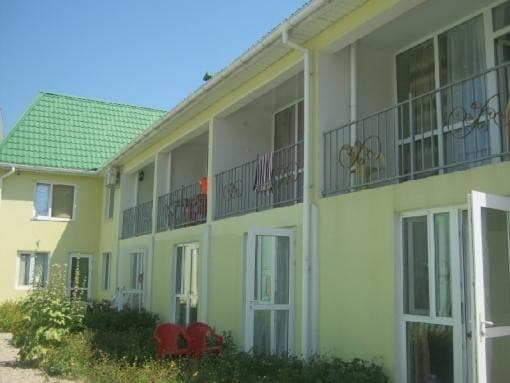 The hotel is located in a residential area of ​​the city. The distance to the beach is 450 meters. The city center is 500 meters away. The private mini-hotel "Mint" has 15 spacious rooms of various categories. All rooms are decorated in a modern style and are great for a comfortable stay. The hotel has a kitchen equipped with cookers, electric kettles, microwave oven and all necessary utensils. Cold and hot water round the clock. Free Wi-Fi is also available. 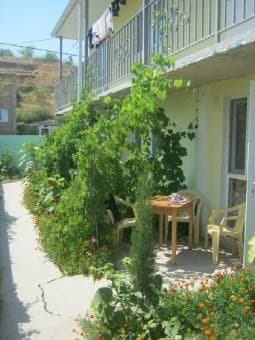 The yard is surrounded by greenery. Within a 10-minute walk are various entertainment complexes, restaurants and bars. PRICES MAY CHANGE, IT IS REQUIRED TO RECEIVE INFORMATION FROM THE OPERATOR. Description of the room: One-room on the 1st floor. 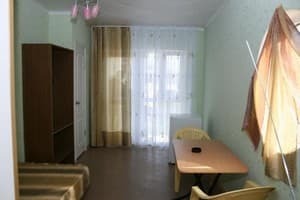 The room has a shower, toilet, hot and cold water around the clock, TV, refrigerator, fan, beds with orthopedic mattresses. Near each room is a small terrace. It can accommodate 3 people. 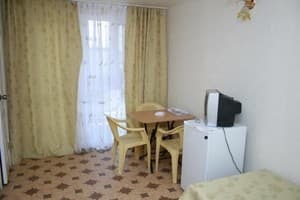 Description of the room: Single room. 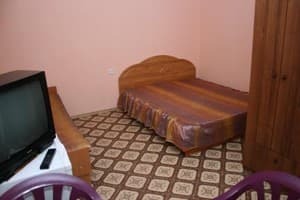 In the room: shower, toilet, hot and cold water round the clock, TV, refrigerator, air conditioning, electric kettle, beds with orthopedic mattresses. Description of the room: One-room on the 1st floor. 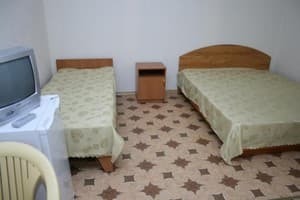 The room has a shower, toilet, hot and cold water round the clock, TV, refrigerator, fan, beds with orthopedic mattresses (bed linen). Near each room is a small terrace. Description of the room: Two-room on the 2 nd floor is designed for accommodation from 3 to 5 people. In the room: shower, toilet, hot and cold water round the clock, TV, refrigerator, fan, beds with orthopedic mattresses. Each room has its own large balcony. It is possible to provide additional space. Description of the room: Two-room on the 2 nd floor is designed to accommodate 3-5 people. 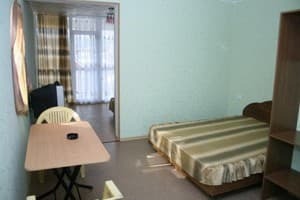 In the room: shower, toilet, hot and cold water round the clock, TV, refrigerator, air conditioning, electric kettle, beds with orthopedic mattresses. Each room has its own large balcony. It is possible to provide additional space. Extra bed (one and a half bed with orthopedic mattress) is available for a fee. 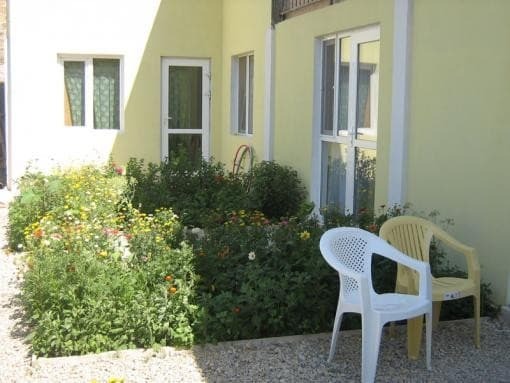 Private mini-hotel "Mint" is located in the city of Sudak. 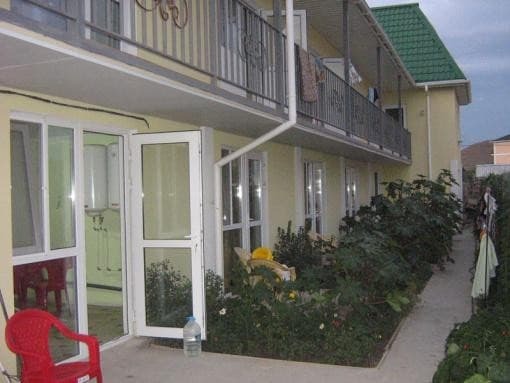 Distance to the beach is 450 m, to the city center 500 meters.